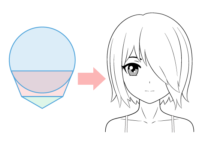 This tutorial will look at some common practices when drawing anime glasses. 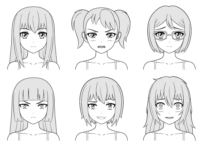 For the most part anime and manga glasses are drawn similar to real glasses but there are a few things that make them a little different from other styles. 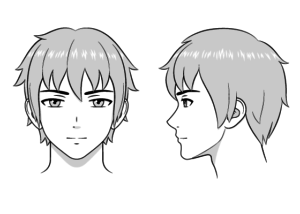 Before you draw the glasses in any style it’s good practice (especially for beginner artists) to first draw out the head and face. 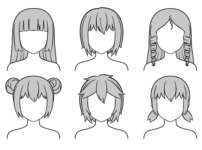 In the above example the glasses are drawn over top of all head and facial features so that you can see exactly how they will be place on the head (as though the head is transparent). Just like real glasses they will usually rest on the nose and go around the ears. 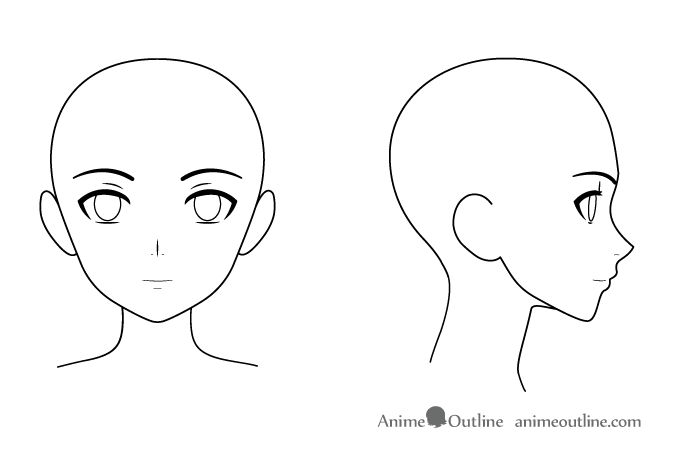 Because anime noses are often very simplified (especially in the front view) it might be a little tricky to correctly place that part of the glasses. If you place it too high or too low it might make it look like nose is too short or too long. 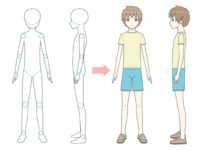 Be aware of this when drawing. 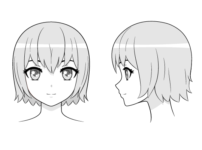 As anime eyes are usually drawn much larger then real eyes you may have to accommodate for that as well by drawing larger lenses. 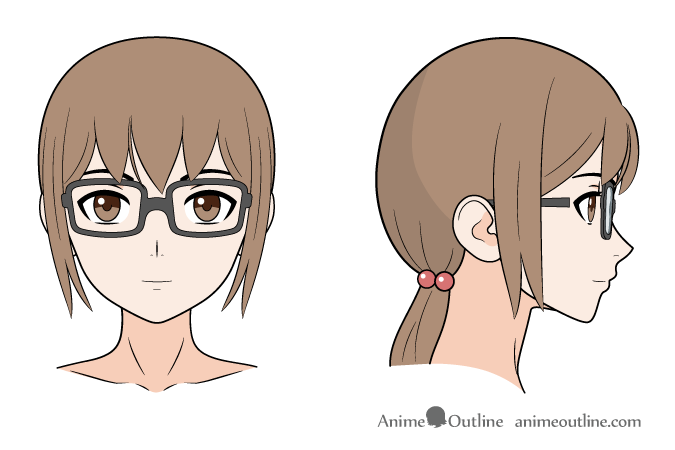 For the front view (as the example above) of anime glasses draw them pretty much as you would draw real glasses while keeping all the things mentioned in the previous step in mind. 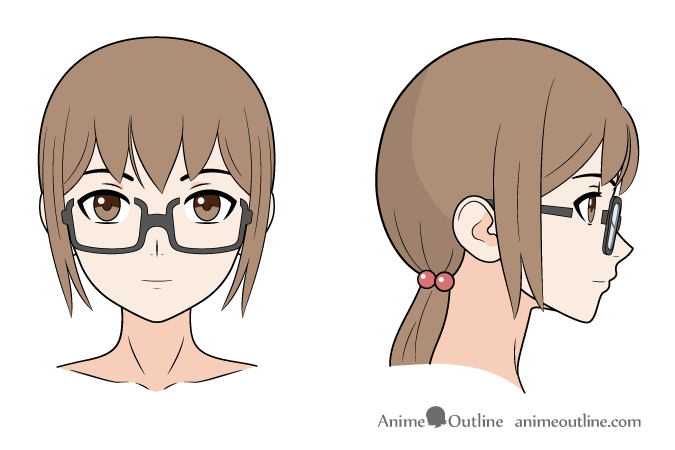 In the side view example above you can see something that tends to be fairly common for anime glasses (though not always the case). That is any portion of the frame of the glasses that would be covering the eyes simply being “cut out”. Why is this done? 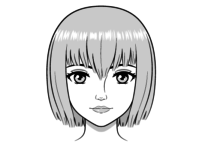 One guess is that it simply allows the artist to better show the characters eyes and might also save them some time when drawing. 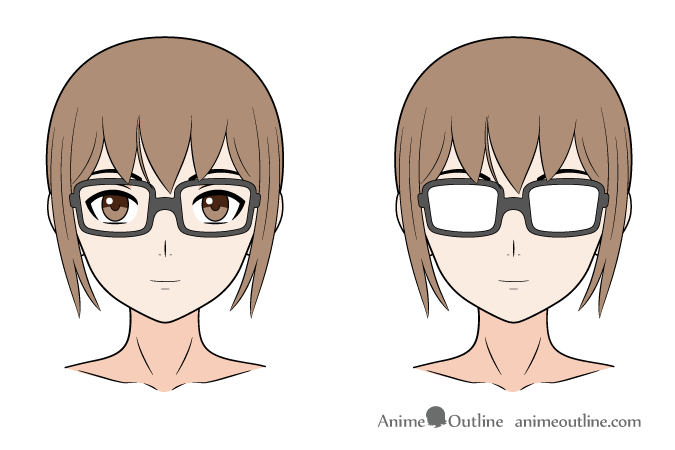 In the above example you can see how the anime glasses “cut out” works with different parts of the frame. 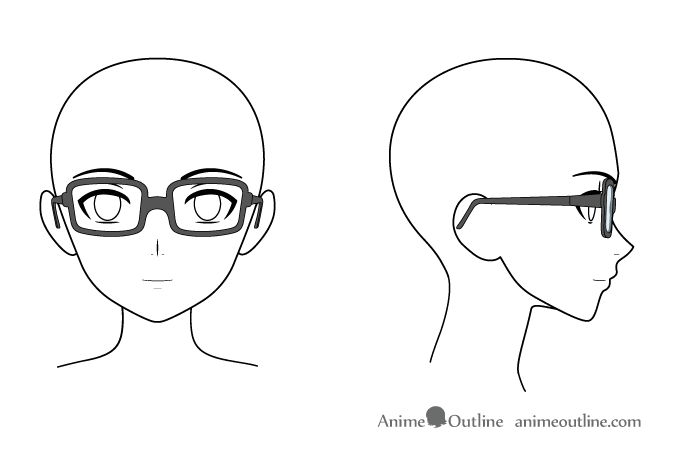 If you want to draw glasses in this style simply leave out the parts that are covering the eyes. One other common trick when drawing anime glasses in is to use the reflection from the lances to not show the eyes at all. This can be done to give a character a serious, determined or even threatening look (especially if you draw the character with a dark background). 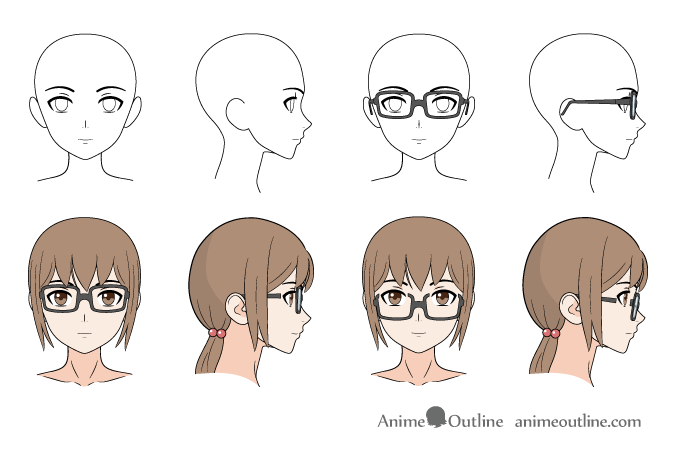 While only one type of glasses is shown in this tutorial you can still apply the same tricks when drawing other styles of anime and manga glasses. You can always base anime glasses you draw on examples of real glasses if you need more ideas. Pretty much everything mentioned in this tutorial should still apply.